Dr. Bedford is also active in his community. He is a member of the New Braunfels Rotary Club, NB Chamber of Commerce, the Experimental Aircraft Association, and is the 2004 Grosse Opa for the Wurstfest Association. Receive the superior and attentive level of service that you deserve from our distinguished professionals. Dr. Don Bedford, DDS began our practice after his son, Brev, had returned from four years of service as a Lieutenant in the U.S. Dental Corps. Dr. Don Bedford is a member of New Braunfels Rotary Club, NB Chamber of Commerce, the Experimental Aircraft Association, and is the 2004 Grosse Opa for the Wurstfest Association. 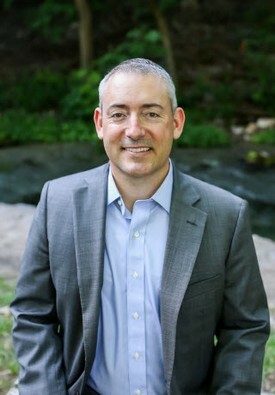 Dr. Brev Bedford is a member of the New Braunfels Rotary Club Board of Directors, New Braunfels Education Foundation Board of Directors, Wurstfest Association, and volunteer coach for New Braunfels YMCA youth sports. Dr. Don Bedford is a Fellow of the International College of Dentists, the Dr. Ron Presswood Study Club, a life member of the American and Texas Dental Associates, and the River District Dental Society. Dr. Brev is a member of the American and Texas Dental Associations, the River District Dental Society, the Academy of General Dentistry, Dr. Ron Presswood Study Club, a Fellow in the Academy of General Dentistry, a Leadership New Braunfels alumnus and the Omicron Kappa Upsilon honor fraternity. Dr. B. Bedford received his Bachelor of Science degree from the University of TX, Austin, with highest honors. He received his doctorate in dentistry from the University of Texas Dental Branch in Houston, TX. 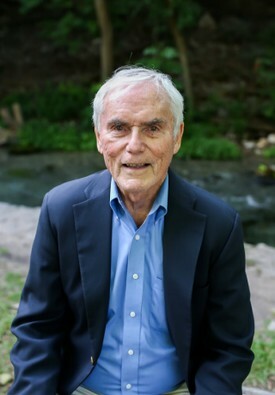 Dr. Brev Bedford had the unique opportunity of being awarded a full dental scholarship from the U.S. Navy because of his academic achievements. He received his Ensign commission when entering dental school and upon graduation was commissioned a Lieutenant in the U.S. Dental Corps. Dr. Brev joined his father to form Bedford Family Dentistry after four years of Navy dental service. His first year on active duty in the Navy was a residency in Advanced Education in General Dentistry in which he received additional training in prosthodontics, surgery, endodontics, periodontics, and restorative dentistry. Dr. Brev is a member of the American and Texas Dental Associations, the River District Dental Society, the Academy of General Dentistry, Dr. Ron Presswood Study Club, a Fellow in the Academy of General Dentistry, a Leadership New Braunfels alumnus and the Omicron Kappa Upsilon honor fraternity. Dr. Brev is active in the community by being a member of the New Braunfels Rotary Club Board of Directors, New Braunfels Education Foundation Board of Directors, Wurstfest Association, and volunteer coach for New Braunfels YMCA youth sports. After earning a full Dental Scholarship from the U.S. Navy, Dr. Brev received additional training in prosthodontics, surgery, endodontics, periodontics, and restorative dentistry during his first year of active duty. As graduates of the University of Texas Dental Branch in Houston, TX, both of our Dr. Bedfords are equipped with the skill and expertise to handle every aspect of your dental care.